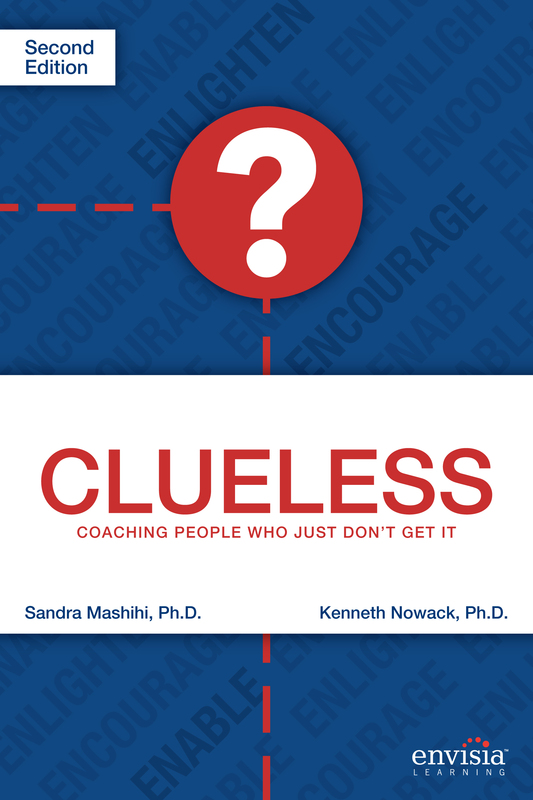 The 2nd edition of our book “Clueless: Coaching People Who Just Don’t Get It” was written to help coaches initiate and sustain successful behavior change in the clients they work with. It’s completely free to download for the next 48 hours only so write a review, recommend it to another coach or consultant and/or let us know how the practical and evidence based exercises and models have helped your clients become more effective. Authors Sandra Mashihi, Ph.D. and Kenneth Nowack, Ph. D. introduce a powerful model of behavioral change and include a wealth of useful strategies, research and practical tools for all types of coaches — executive, career, lifestyle modification, and personal. Read this book and you’ll discover the Enlighten, Enable, and Encourage model of behavior change that has driven successful interventions in organizations such as UC Irvine Medical Center, Time Warner Cable, Davita Inc., B&B Manufacturing, UCLA Anderson School of Management and the University of Iowa. Developed by Ken Nowack in over 20 years of work with thousands of participants, Enlighten, Encourage and Enable has proven reliable at increasing sustainable behavior change. In the Enlighten section of Clueless, the authors review different methods of helping your clients become more aware of their signature strengths, values, personality and development opportunities. They provide a detailed review of feedback methods including 360-degree feedback in order to maximize self-insight and awareness. In the Encourage section of Clueless you’ll learn about all the ways you can assess your clients’ motivation to implement behavioral change action plans. This section includes discussions of motivational interviewing techniques, behavioral change models, and skill building to facilitate clients’ readiness to want to implement their goals in a manner that can be measured and evaluated. In the Enable section the authors introduce techniques and skills for clients to track and monitor progress on the implementation of their goals, build relapse prevention plans, and cultivate factors that support sustained change with colleagues, family members, partners and friends. It’s difficult to change people way of doing things, but change is a process. Just received the free download. Looking forward to reading the book, Ken! Hi Ken, I would like to get a free download of Clueless: Coaching People Who Just Don’t Get It. I must be one of them.